A marriage of sleek contemporary style and vintage-inspired aesthetic exudes quirky design and pure delight. Product Description Modern radiance. Brilliant but not flashy, with stark design and color scheme, the TOV Bright Eyed Side Table emanates indie-style contemporary aesthetic. Modern in concept and vintage in execution, this piece vividly recalls the glamour and class of the early 20th century, while effortlessly incorporating 21st century design. Lustruous gold accents create an aura of shimmering luminescence. This piece is a romantic idealist, and the dawning of the age of bright-eyed optimism is upon us. Customer assembly required. Unique Features: Bold circular design is gracefully accented by glass knob hardware. Minimalistic one-drawer design still allows for bedside storage. 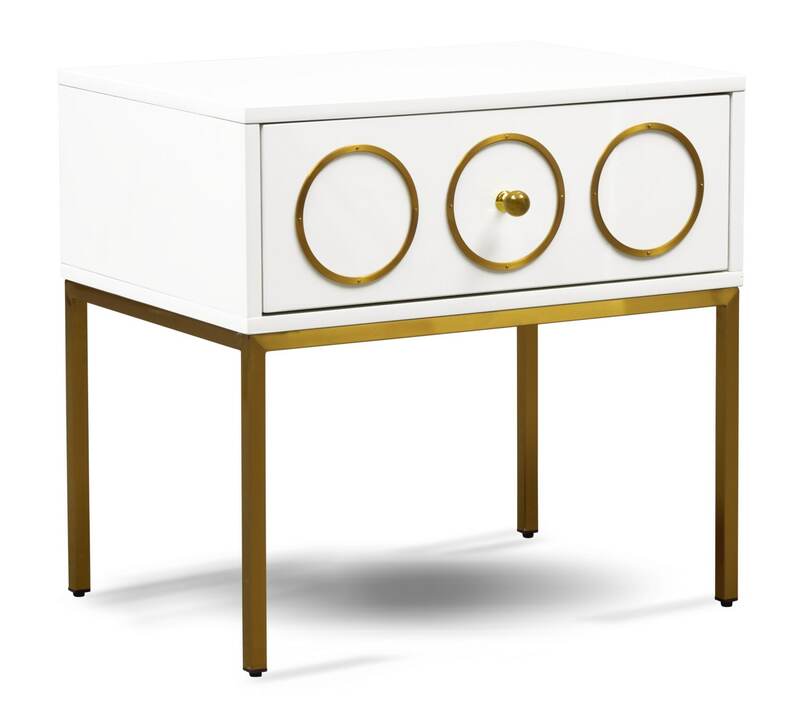 Golden accents and bright white lacquer add to the modern, sleek aesthetic. Construction: Hardwood construction ensures a durable and sturdy framework.